Myth: In April 2018, Ofsted removed its online self-evaluation form. 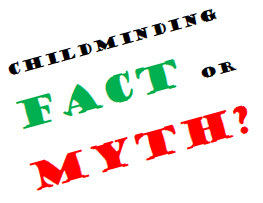 However, it has not removed the requirement for childminders to self-evaluate. So all childminders need to have in place a method to reflect on your practice, especially if you are being inspected any time soon, as your inspector may want to discuss your evaluation with you. It is good practice to have a method for ongoing self-evaluation. While there is no requirement to write out a written self-evaluation, the reason many people do written reflective practice is that it can make it easier for you to think through the different aspects of your business and monitor what you need to change. Writing things out can help you to focus and get organised. It can also be a great way to prepare for your inspection. In my opinion, writing things out is the best way to feel properly prepared and to remember to put things into action. For help with self-evaluation, try my Guided Self-Evaluation Pack. This pack is organised as a series of questions and model answers about you and your setting, with one question per page. You can use it as a structured way to set up a complete evaluation document for your setting from scratch. Or you can pick and choose questions that you feel are helpful to your setting to complement any other form of self-reflective practice you already do.